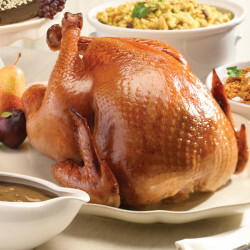 Leave it to HoneyBaked to make turkey delicious and easy to serve. 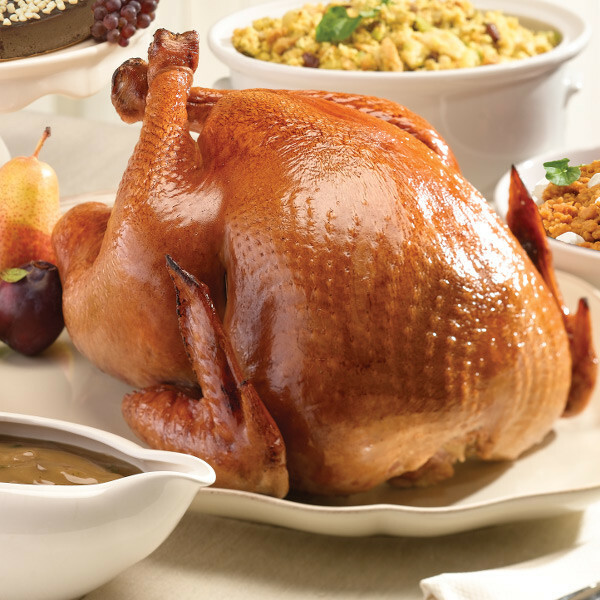 Our Whole Oven-Roasted Turkey is cooked to juicy perfection while our Smoked Turkeys are painstakingly smoked over real hardwood chips. Either way, our whole turkeys will earn you a whole lot of kudos. Weighs approximately 11 pounds and serves 10-12 guests. To serve hot, place on a rack in a covered roaster with 1 to 2 cups of water. (Depending on size.) Heat in a moderate oven (275-300ºF) for 1 1/2 to 2 hours. Slice and serve. Keep the skin and bones as they will add wonderful flavor to green beans, oven baked beans, soup and more. Weighs approximately 11 pounds and serves 10-12 guests.